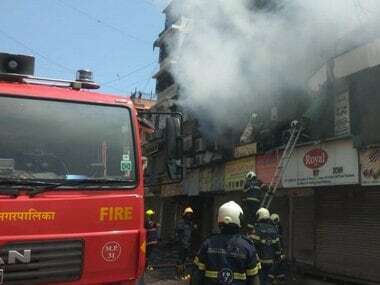 Mumbai: A fire broke out on the third floor of the sessions court building in Mumbai on Monday morning, an official said. No casualty or injury has been reported so far, he said. The fire brigade got a call at 7.14 am about the blaze in the court building, located near the campus of the Mumbai University in South Mumbai, the official of the Brihanmumbai Municipal Corporation's disaster management unit said. The fire brigade personnel rushed to the spot, he said. "Efforts are on to douse the flames," he said. The cause of fire was not yet known, he said, adding that an investigation will be carried out into the incident. This is the fifth fire incident in the city in the last 20 days. Twelve people were killed when a massive fire broke out at a snack shop in Saki Naka-Kurla area in Mumbai on 18 December. 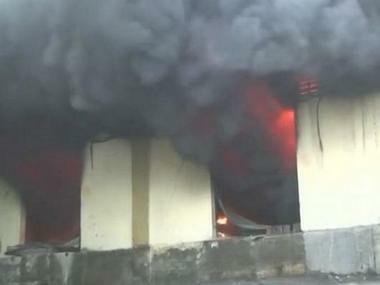 Later, 14 people were killed in a fire at an upscale pub in the Kamala Mills compound on 29 December. On another incident on 4 January, four persons, including two children, died and five were seriously injured after an upper floor of a residential building in suburban Marol caught fire. Besides, a 20-year-old man, who worked for a television serial production unit, was killed in a fire at the Cine Vista film studio in suburban Kanjurmarg on 6 January.